AWT (Abstract Window Toolkit) is an application programming interface used to develop window-based applications. The components provided by AWT are heavy weight and platform dependent. The java.awt package contains various AWT classes for API's. Follow, the basic structure of JOGL discussed in the previous page. 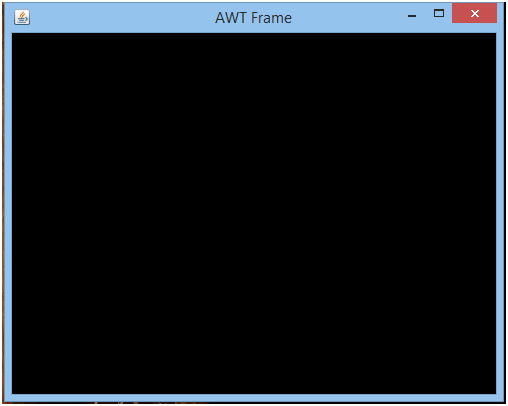 Create a frame using Frame class of AWT. To use this class, it is required to import java.awt package. Now, add the object of GLCanvas class with the Frame class object using add() method. In this example, we will create a simple JOGL frame using AWT.